Sometimes when you find an animal in danger, there isn’t enough time to call for help. You have to act fast to save the creature’s life. 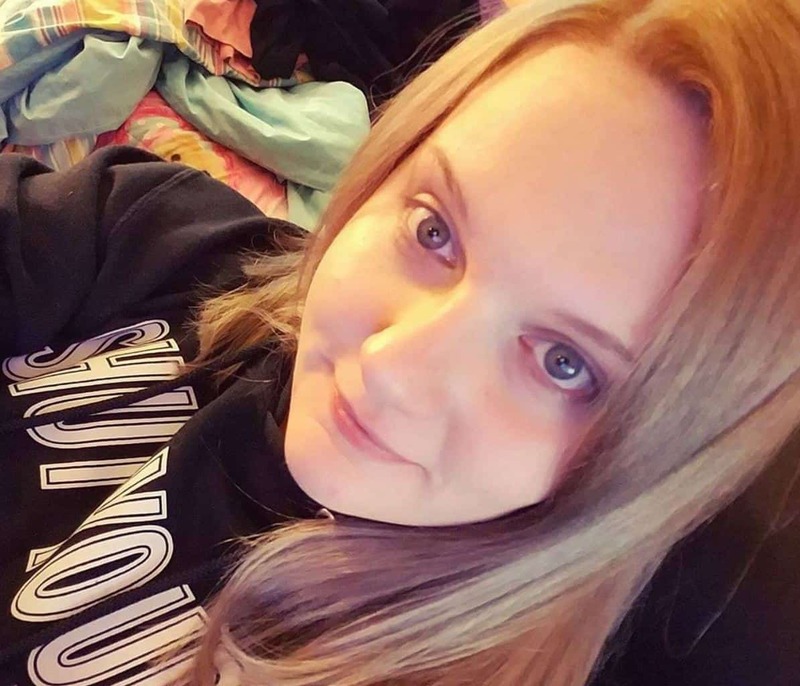 When Crystal Kelley discovered a frozen animal in her garden, she had to improvise on the spot to rescue it from a bleak end. 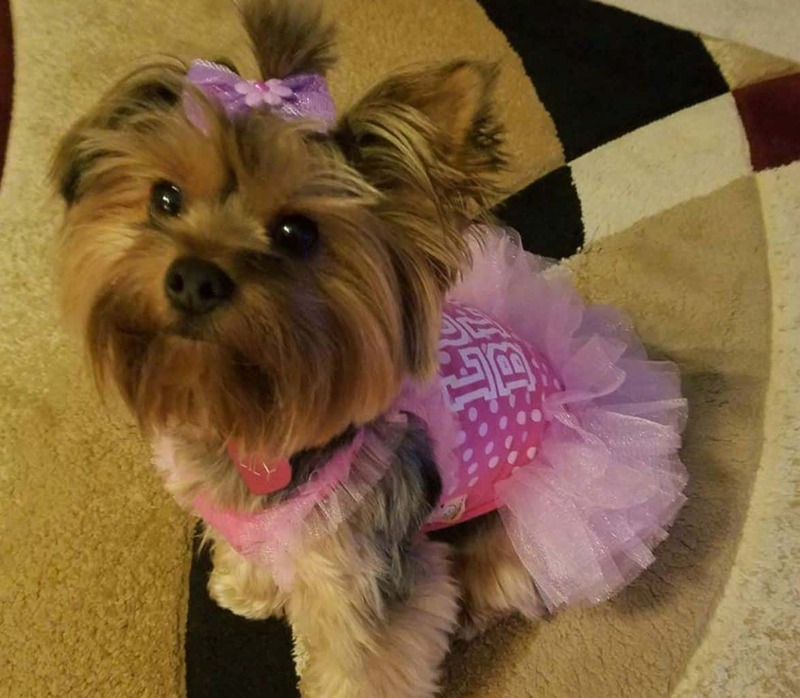 But this rescue story all began with her Yorkshire terrier, Lily. It was a snowy day in January 2016, in Indianapolis, Indiana, and Crystal Kelley let her dog, Lily, outside to play. As Lily played and explored the snowy garden, she noticed something that caught her attention immediately. Crystal noticed Lily become distracted and wandered outside to find out what it was. As she got closer to Lily she saw what had captivated her; there was a frozen bird lying in the snow. Ordering Lily inside the house, Crystal took a closer look at the motionless bird. 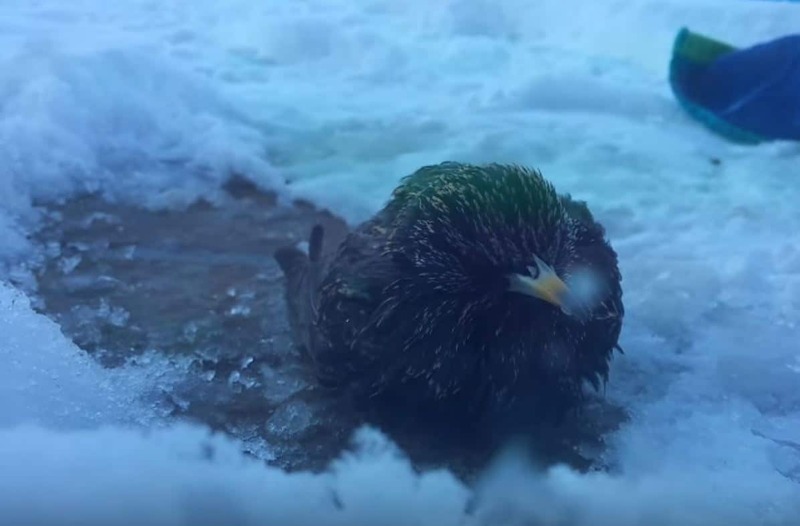 The poor bird was frozen stiff with ice and its wings were shut. 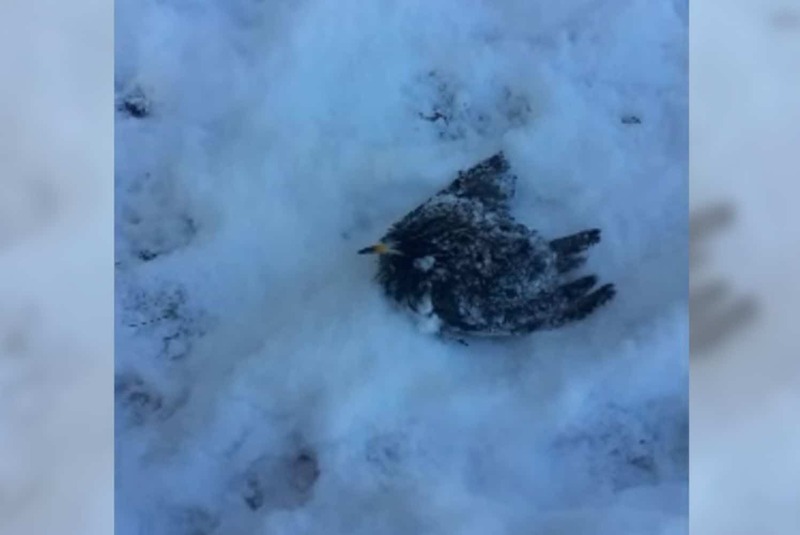 It was clear to see that the bird was in immediate danger from freezing to death. Thinking quickly, Crystal knew that she had to warm up the little guy before it was too late. Grabbing a blanket and a bucket, she scooped up the freezing bird and carried it towards her house. With no experience of rescuing an animal before, she had no idea what to do to help. That’s when inspiration struck. Grabbing her hairdryer, Crystal turned it onto a low heat setting and set to work. As Crystal gently blow-dried the bird, it began to come back to life. Its wings started to twitch and the little creature could stand up again. With a little patience, the bird literally defrosted. 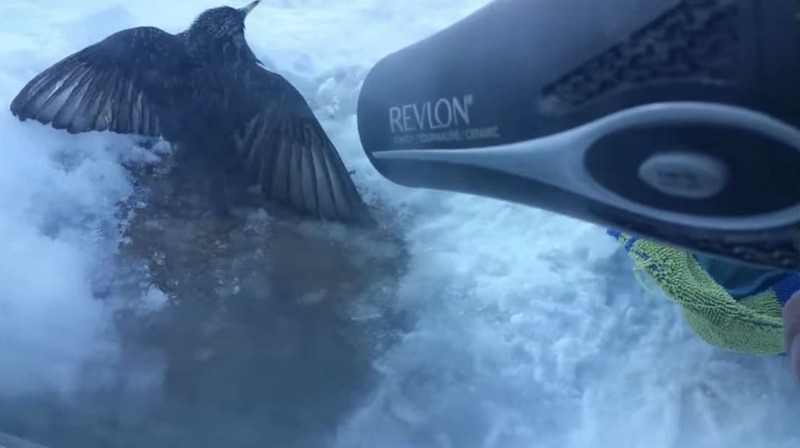 As the ice melted and its wings thawed, the bird even began to turn itself toward the hairdryer for extra warmth. 2 hours after Crystal started her rescue efforts, a miraculous thing happened. The little bird began to stretch out its wings and hop around in delight. 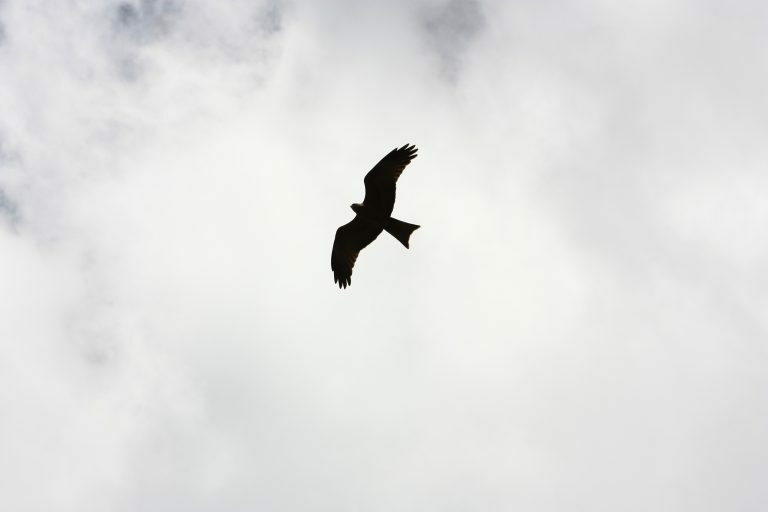 Before she knew it, the bird had built up the strength to take flight. As the little bird flew over the tops of the trees and out of sight, Crystal and Lily watched on with full hearts. It must have been amazing to see that her rescue efforts had paid off. While the little bird didn’t stick around to say ‘thank you’, I’m sure it was very grateful nonetheless. Crystal’s quick thinking and Lily’s detective work helped to save the bird before it was too late. 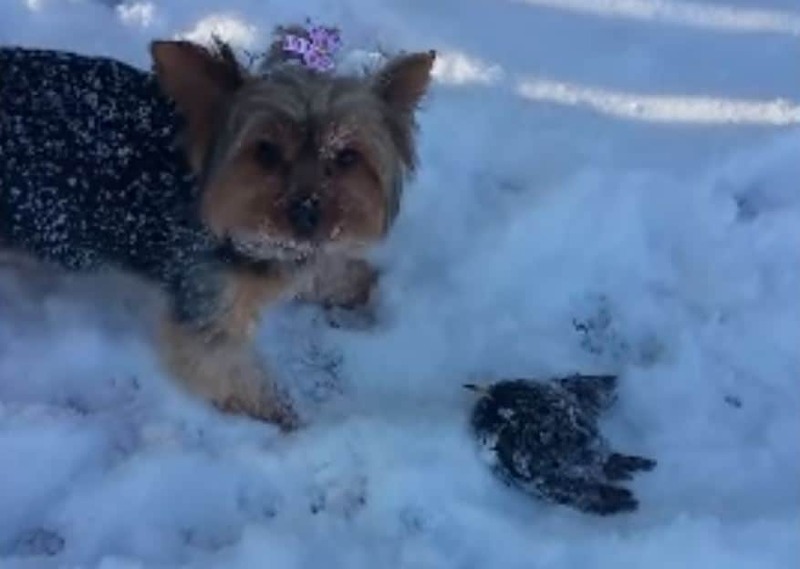 They are the perfect rescue duo and I’m sure the little bird will have told all its friends about the kind human and Yorkshire terrier who saved its life.